Home EPL Manchester United are into the FA Cup Finals. Manchester United are into the FA Cup Finals. Ander Herrera celebrates scoring the winning goal. Manchester United have successfully seen off Tottenham Hotspur to book a spot in the FA Cup Finals. 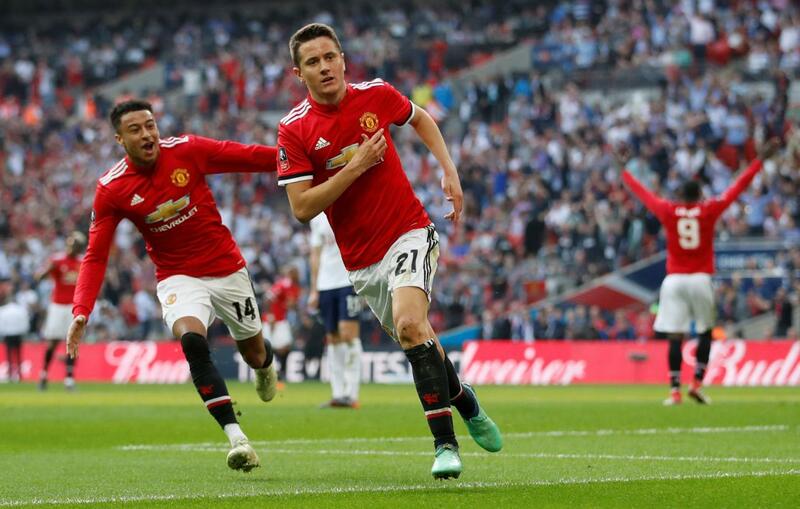 Goals from Alexis Sanchez and Ander Herrera were what the team needed to effectively complete a sensational comeback to beat Spurs after Dele Alli’s opener. Manchester United have booked a spot in the finals to be played on 19/05/2018. Previous articleEPL: Reasons why Alexis Sanchez struggling at Manchester United.